Gunnar at her guardian home. We love our dogs and consider them family members. Because of their need for individual love and attention, we only keep a few of our breeding dogs with us in our home. 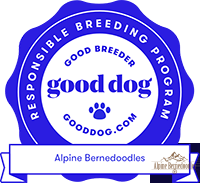 Therefore, as Alpine Bernedoodles grows and we are adding future breeding dogs to our program, we have started to institute a Guardian program so that all of our breeding dogs are cared for in a loving family environment. A Guardian home provides a forever home for a future breeding dog and we retain the breeding rights for a set amount of time. For females, this is usually about a 3-4 year commitment or a maximum of 4 litters. Males are typically retained as sires for a longer period of time than breeding females, approximately 8 years. A Guardian family will receive a puppy that we have chosen based on the best qualities and temperament that we are looking for in our breeding program. 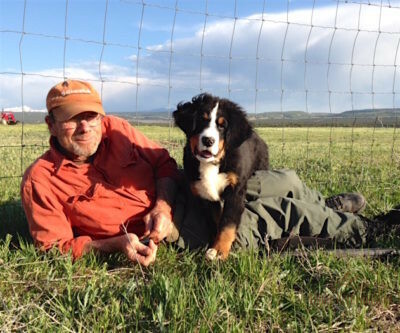 Being a Guardian home for Alpine Bernedoodles can be an excellent way for families to enjoy the excitement of being a part of our breeding program and see the offspring of their Guardian dog bring joy and happiness to new families across the country. Females will stay with us for 1 week during breeding and then return to us one week prior to expected due date. She will stay with us until the puppies are weaned, normally 5-6 weeks and then return home to you. Families are welcome to visit their dog and interact with the puppies during this time. Guardian families are responsible for maintaining the health of the dog which includes a safe environment, quality dog food, routine vaccinations and exams, socialization and training, and above all love and affection. All genetic health testing and breeding related costs are the expense of Alpine Bernedoodles. Once the Guardian dog has completed her/his breeding career, the dog will be spayed or neutered at our expense and then will remain with you as a forever family pet. 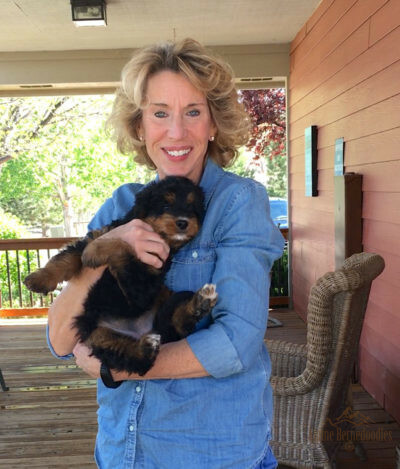 Live within 2 hours of Montrose Colorado with a female dog or 1 hour with a male. Own your own home and do not plan on moving for a minimum of three years. We offer guardian opportunities for our Bernese Mountain Dogs and Bernedoodles. If you would like to be considered for a Guardian dog, please contact us for an interview. We will require a site visit to your home as well.